Born on Imbolc in 2010, Sisterhood of the Moon is a community of empowered people of integrity meeting for rituals, classes, social gatherings, and other inspired offerings. We are guided by our Community Code of Ethical Conduct, a foundational piece of our collective work. Sisterhood of the Moon is currently in the process of becoming a federally recognized church. Our Sisterhood of the Moon Priestesses facilitate open circles that meet monthly for lunar magick, Goddess worship, solar celebrations, and other cosmic rites. Our founding circle—Women's Lunar Rites—is open to, and inclusive of, all women. 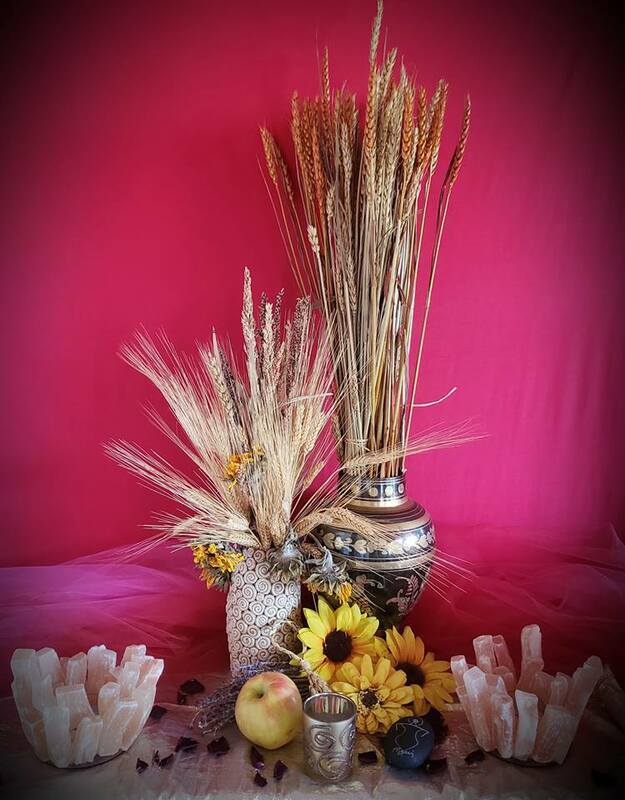 On Spring Equinox in 2016, Priestess Sabrina Moon opened our doors and hearts to two new circles: Solar Tribe and Honey Hive; she is the High Priestess for both of these containers. Solar Tribe is open to all genders and ages, and Honey Hive shares ritual with children 12 and under. For those women who live away from the Bay Area or cannot participate in an in-person Women’s Lunar Rite, we offer the option of joining us “in the ethers” through our solitary Distance Rituals. Please note that you must be 18+ to join us unless attending with a parent or legal guardian. We primarily meet at a private home in Hayward, CA (East Bay). During times of fair weather, around Spring Equinox to Fall Equinox, we meet outdoors in our Sacred Grove. During times of inclement weather, after Fall Equinox until before Spring Equinox, we meet indoors in our Sanctuary. Please dress accordingly! We can do no true magick if we are not physically comfortable. In addition, several times a year we pilgrimage together to perform ritual at local sacred sites such as at our annual Women’s Labyrinth Pilgrimage and Women’s Mermaid Beach Pilgrimage. Unless otherwise specified, our doors open at 7 p.m. and the circle is cast by 7:30 p.m. We hold the intention of finishing ritual by 9 p.m., enjoying a festive social hour after the circle is open and sharing a potluck meal. We do not engage in lengthy check-ins during circle, so arriving on time and staying for the post-ritual potluck is highly encouraged as a way to get to know community members. About two weeks before each ritual (i.e., on the Dark Moon for Full Moon ritual, etc. ), you will receive an email invitation to and instructions for that particular rite. Please RSVP individually for each ritual you plan to attend. For this tenth year of circling together, through January 2020, our community is reading Louise Hay’s book, You Can Heal Your Life. If you wish to deepen your spiritual practice with us, please read the pages assigned for each month and join our Community Chat List for a lively discussion. 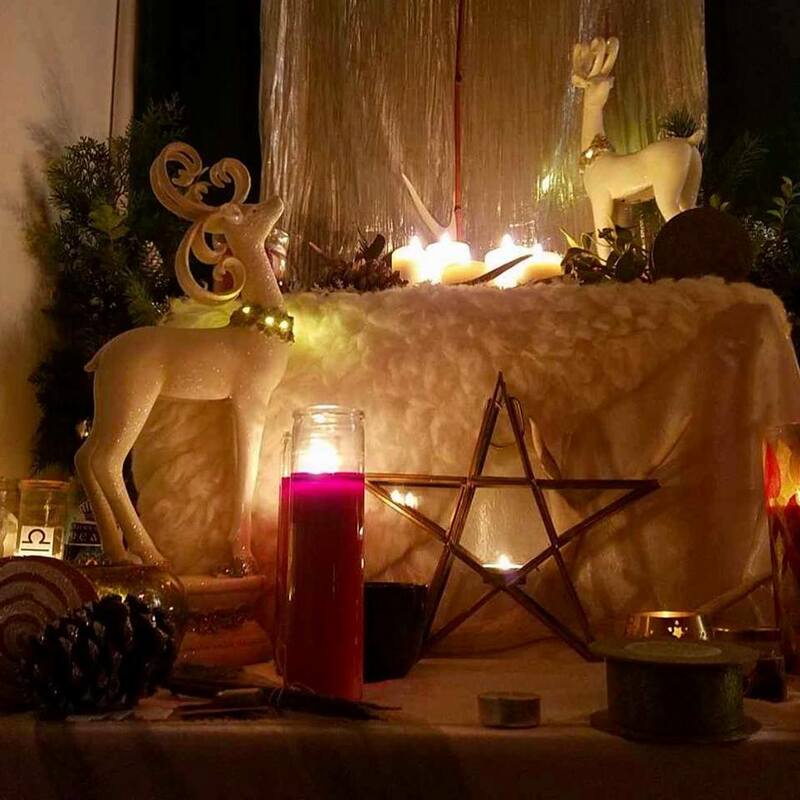 We gather each year on or near the High Holyday of Imbolc for our Annual Imbolc Rite of Dedication & Initiation, and to celebrate our Sisterhood's birthday. Visit our Information page for more information about our circles and our Offerings page to learn about classes and consultations. For up-to-date news, please check out our Priestess Council blog. Please subscribe to our Invitation List for event information and community news. A matriarchal, Goddess-only Tradition and community for all, offering open lunar, solar, and other cosmic rites, devoted to the empowerment of women and people of integrity, honoring the Goddess within and without.